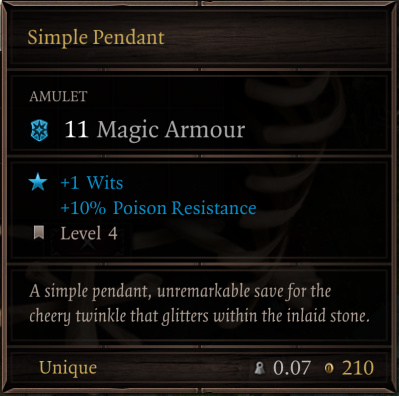 Simple Pendant is an Armor in Divinity Orginal Sin 2. A simple pendant, unremarkable save for the cheery twinkle that glitters within the inlaid stone. anyone knows why the skeleton has vitality?